EnduroSat's 1U Solar Panels are equipped with 2 CESI Solar cells of type CTJ30 with up to a 29.5% efficiency. 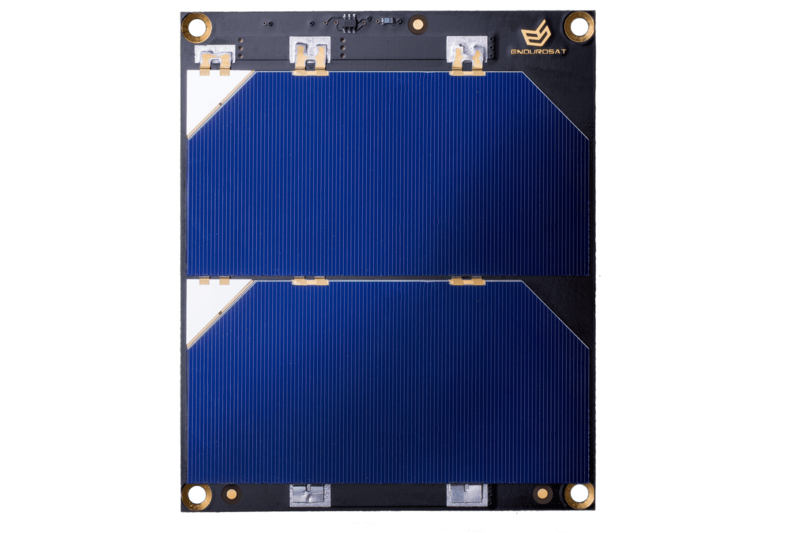 The wide effective cell area is the largest possible for solar panels suitable for 1U CubeSats and provides up to 2.4 Watts per panel in a LEO. 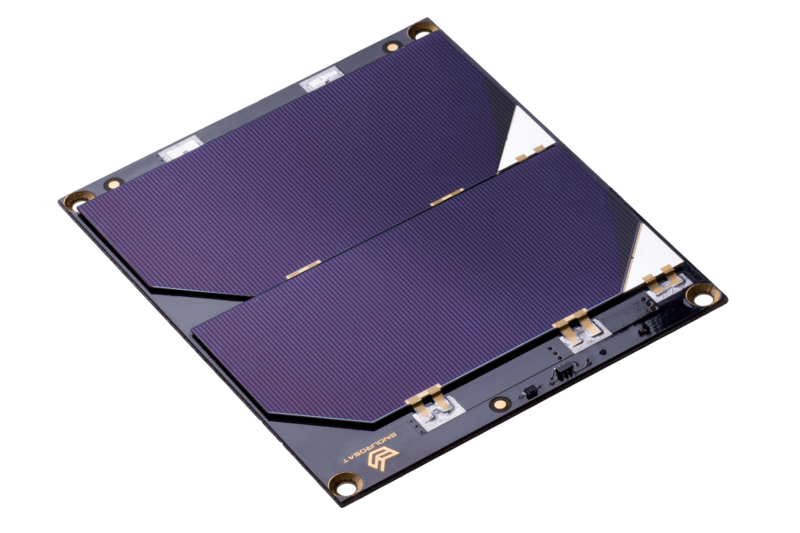 The 1U Solar Panels are also compatible with EnduroSat’s 3U and 6U structures. On the PCB, a network of sensors and a magnetorquer can be interfaced to an Attitude Determination and Control System(ADCS). The network can be all or a combination of the following: temperature sensor, Sun sensor, magnetorquer, and gyroscope. The temperature sensor and Sun sensor (photodiode) are positioned on the top surface of the solar panel whereas the magnetorquer and gyroscope are positioned within the solar panel and not visible. The magnetorquer is a series of large electrical coils positioned over several layers of a multi-layer PCB. 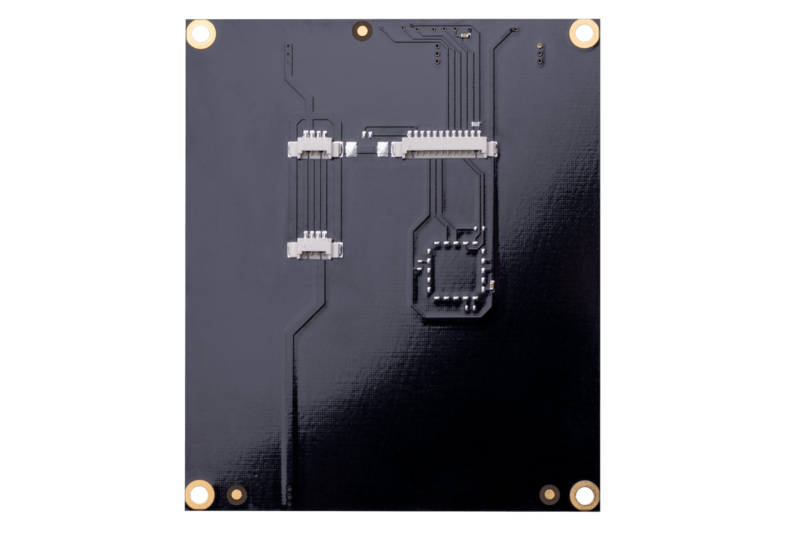 Furthermore, the PCB is equipped with a connector for an external magnetorquer. Solar panel configurations on the outside of the satellite can be simple or complex. Therefore, using our connector system on the PCB, multiple solar panels can be easily connected in an electrical series or parallel configuration. The solar panels are then typically connected to an Electrical Power System (EPS) module. Also, customization of the panel for additional external connectors (e.g. an RBF pin) and interfaces to access the satellite can be provided upon request.